Here, the tang of suntan oil tickles your nose, mingling with the aromas of hot dogs and French fries and beer. The sun is a golden disc above and the sand is toasty under your towel. Gentle waves slap-slap in counterpoint to the full-throated growl of revving engines and the world is best viewed through tinted UV-blocking shades. The beach goes on forever, or at least for more than 20 miles, and the distance between dunes and sea at low tide can be more than five football fields. Here in Daytona Beach, life and summer are still lived the way they're supposed to be. The seaside city calls itself "the worlds most famous beach," and who could argue? Its a natural magnet for anyone looking for a good time. Though never completely deserted by visitors, the annual parade of Daytona-lovers begins each February with the arrival of race fans. Racing in Daytona now takes place at Daytona International Speedway (www.daytonaintlspeedway.com), a 2.5-mile asphalt tri-oval thats closer to the interstate than the water. But back at the turn of the last century, the fastest cars raced right on the sand. In fact, the last land speed record was set here in 1935. Sir Malcolm Campbell put the pedal to the metal in the "Bluebird" and went roaring down the beach at 276 mph. Stock car racing was a regular beach event after World War II. Though the sport has moved, auto use of the beach is still around. Daytona is one of the few beaches in the nation that still allows vehicles on the sand. Driving is limited to an 18-mile stretch of beach during daylig ht hours only, though. The speed limit is 10 mph and the privilege will cost you $5. 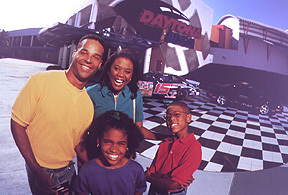 Daytona USA (www.daytonausa.com) focuses on racing and its history. You can try your hand at being a member of a pit crew or get behind the wheel at the Richard Petty Driving Experience. Klassix auto attraction showcases the history of automobile. Next to roll into town are the bikers, clad in black leather and sitting astride gleaming motorcycles. Daytona got its start in 1836 when Mathias Day of Mansfield, Ohio, founded the first permanent settlement along this stretch of coast. The town was incorporated in 1876 and officially named for its founder. Forty years later, several local communities merged to form the city of Daytona Beach. 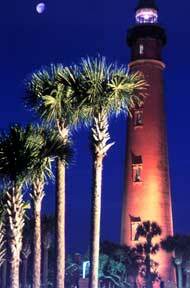 Just south of town is the Ponce de Leon Inlet Lighthouse. Built in 1887, its still in operation. Its also the second tallest brick lighthouse in the country. Its light was salvation for many a seagoer, including the sailors and passengers of the S.S. Commodore. The ship sank offshore in January 1897 and survivors scrambled to safety in a lifeboat. One of the lucky souls aboard was author Stephen Crane, who used the experience as the basis for a short story, The Open Boat. hem as slightly exotic. Merchants regard them as a courteous, generous crowd that likes to spend money. And the worlds largest Harley-Davidson dealership is  where else?  in downtown Daytona. After the bikers come the college kids. After all, what better way to escape the bleakness of winter and the rigors of higher education than with an unruly rite-of-spring romp in the Florida sun? In the 60s, the city started luring college kids away from Fort Lauderdale, which had been immortalized as a party town in the movie Where the Boys Are. The height  or depth, depending on your perspective  of Spring Break was 1989, when 400,000 beer-befuddled, hormone-crazed undergrads converged on the city. Police made more than 1,400 arrests, for everything from public drunkenness to more serious offenses. These days the crowd hovers closer to a sedate 200,000 revelers with festivities spread out over nearly six weeks. Theres still plenty of carousing, of course, but other activities range from such innocent pastimes as sand-castle building to serious stuff like job fairs. Canadian colleges break first, with students beginning to head south in March. Theyre followed by wave after wave of American undergrads. Black College Reunion, which coincides with reunion weekend at Bethune-Cookman College, is one of the final hurrahs of the Spring Break season. B-CC, one of the nations leading historically black colleges, is named after Dr. Mary McLeod Bethune, the areas most noted African-American civil rights and education leader. The campus is located a short distance inland from the beach. It is one of several institutions of higher learning in the city. Others include Daytona Beach Community College and Embry-Riddle Aeronautical University. For more Daytona Beach events, click here. 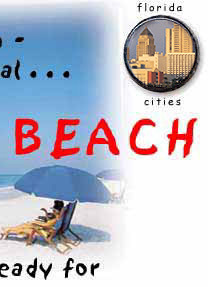 From Spring Break on, most of the action in town is on the beach, and the city takes on a definite family-friendly air. The place to be is the boardwalk and bandshell area. This is where the people are. Its where the businesses are, everything from t-shirt shops to tattoo parlors. Its where the hotels are, both high-rises and, a short distance away, modest mom-and-pops. And, of course, its where the food and is. Forget some essential beach item? Dont worry, you can buy or rent it right here. Humans arent the only creatures that like Daytona Beach and surrounding environs. Endangered loggerhead sea turtles find the stretch of sand a fine place to incubate the next generation of their species. Between mid-April and Halloween, the animals crawl from the surf at night to lay their eggs in sandy nests. 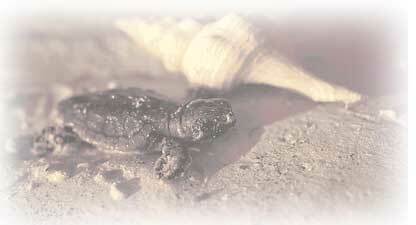 Two months later, hundreds of cute hatchlings emerge and scramble back to their watery home. To help protect the species, Volusia County regulates beach driving and parking. No vehicles are allowed landward of the dune conservation zone, the preferred nesting area. Night driving is restricted. So are lights from beachfront homes and businesses, because they confuse the mother turtles and the babies. For more about these fascinating and endangered creatures, click here. The bandshell itself is a community landmark. Constructed entirely of coquina rock, it was built in 1936 as a WPA project. Coquina is a resource native to Floridas east coast, and you dont find it too much anymore. The bandshell stands 48 feet high and 114 feet wide and is one of the last remaining structures of its kind. During the Depression, it was the venue for concerts and community special occasions. These days, it hosts such diverse events as free summer concerts and the National Cheerleading Associations annual cheerleading and dance competitions. OK, its not Diamond Head, but the area is certainly no slouch in the surfing department. Breaks are generally good and there are no submerged reefs to worry about. The best swells tend to be just south of Daytona at Ponce de Leon Inlet. 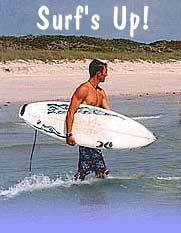 Its called simply Ponce Inlet by the locals, who are fond of surfing both the north and south sides. And unlike some of those big-name beaches, surfing is a year-round activity in Daytona. 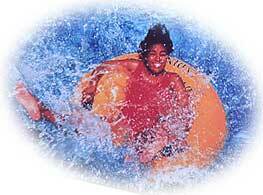 As a rule, surf temps range from 75 to 82 degrees in summer and seldom dips below 58 in winter. You might need a 3-mil wetsuit, but thats about it. Sound like paradise? Well, sort of. You might as well prepare yourself: traffic is a headache. Sometimes it goes beyond headache all the way to nightmare. To help control traffic on and off the beach, officials recently created a 1-mile traffic-free beach zone in front of the boardwalk and bandshell area. Frequent trams will take beach-goers from a 1,500-space parking area at the Ocean Center to the beach. Its part of a $200 million redevelopment project in the core tourism district. And yes, you can take your beach stuff on the tram. If you cant find a party in this town, you cant find a party anywhere, dude. Some spots are more well known than others, of course. Razzles is a high-energy dance haven popular with the 20-somethings. Barbarellas and 600 North attract similar dance aficionados. Reggae is the claim to fame at the Ocean Deck, while Baja Beach Club is the local beach party bar. Adams Mark is a favorite beach party place, too. Motorcycle enthusiasts and blues lovers are fond of Boot Hill, which is across the street from the cemetery. Really. The Iron Horse in nearby Ormond Beach is another must-stop on the biker tour, as is South Turn. For rock, theres Dirty Harrys, Full Moon Saloon and New Marker 32. Barracks, meanwhile, has a military theme and caters to a gay clientle. But the city is more than just one big dance floor. If youre interested in cuisine, Daytona boasts more than 400 restaurants, from chains and fast-food outlets to "Cracker" (fried, old-fashion, Florida style) seafood, ethnic fare and gourmet dining. Click here for our Daytona Beach Dining section. Theres real culture too, from galleries to free concerts at the bandshell to community and college theater productions. And every two years, the city gets a visit from the London Symphony Orchestra, the star of the Florida International Festival.